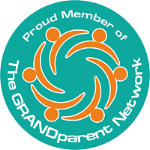 Do you feel marginalized, ignored, stereotyped when it comes to your role as a grandparent? Are you fed up with brands presenting erroneous and ageist advertisements that mock grandmas in unrealistic and ridiculous ways (how many times can we stomach the unoriginal, "this ain't your grandma's whatever" in an ad?) or brands that completely ignore grandmas in their marketing efforts? 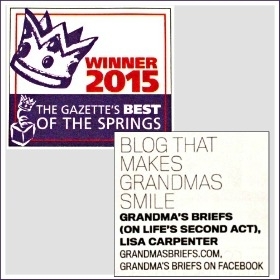 Those are real, live grandmas above, a sampling of the grandmas I've featured as Grilled Grandmas here on Grandma's Briefs. If those lovely, vibrant women are what grandmas look like, why does a Google search for "grandma" result in — at the very top of the list — the inaccurate caricatures I show in the screenshot above? Gah... the frustration. That post is my fed-up-grandma story, though, and I want to hear your story, want to consider ways in which grandmothers and grandfathers may feel marginalized, left out, stereotyped, especially by brands, in advertisements and otherwise. I want to keep those things in mind while at BlogHer the end of this week, possibly even share a few of your stories and suggestions with the brands I connect with, in hopes the erroneous and outdated grandma stereotype will be shattered, that brands big and small will get that the grandparent demographic — grandmas and grandpas — matters... and carries with it a large amount of disposable income they spend regularly on themselves and their loved ones. 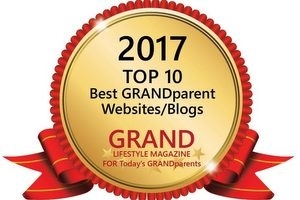 We all have a unique story, all have ways we relish being a grandparent, as well as ways we feel the title gets in the way when people look at us, consider us. I want to hear about the latter from you, today — your gripes and complaints about the grandma stereotype. 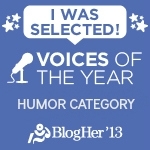 I'd like to add your story to my story, carry it with me as I do my best to represent grandparent bloggers at BlogHer. Sure, there will be other grandma bloggers at the conference, but I'm not sure how many will be proudly waving the grandma flag. I plan to proudly wave that flag in hopes of making you proud, in hopes of making things even just a wee bit better — and realistic — for all of us grandparents, at least in terms of how brands view us, represent us. In what ways do you feel marginalized, stereotyped, ignored, erroneously represented by brands, marketers and media? Feel free to be as long or as brief as you like, just please be honest and real. 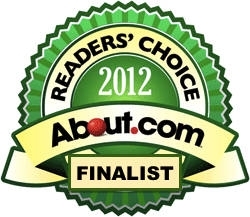 Feel free to offer suggestions for improvement in the area for the brands, too, if you'd like. I'll share what I can. Thank you for your stories and suggestions and for helping me (try to) make a difference for our grandmahood (which, I'm happy to report, includes a few grandpas, too! ).